CEDAR MILL — No. 41 certainly wasn't easy. But it was exciting. It was dramatic. And it was historic. 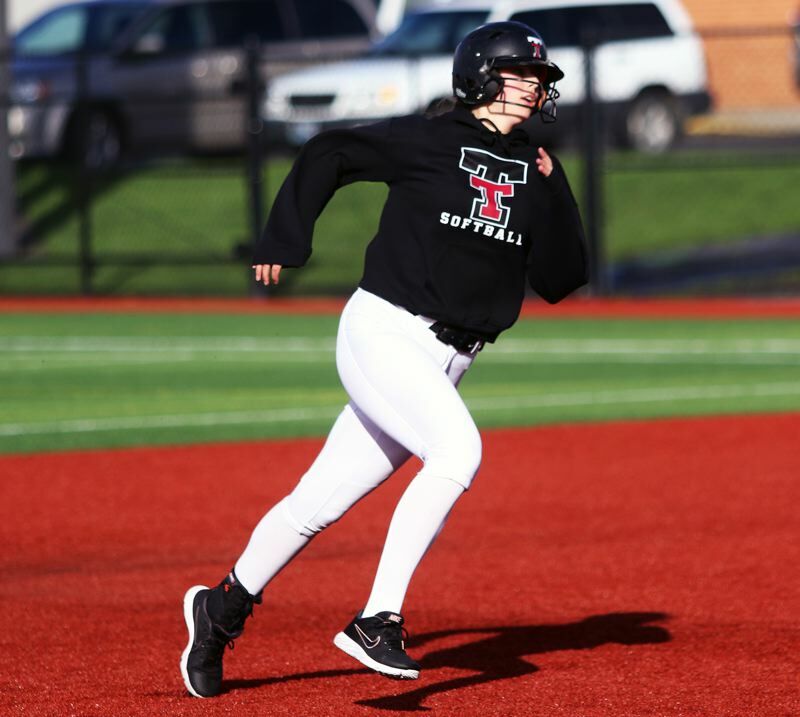 The Tualatin High School softball team picked up its 41st straight win, dating back to the first game of the 2018 season, by rallying to get a nail-biting, come-from-behind, 10-inning 7-6 victory over Sunset in a wild non-league game played Friday at Sunset High School. 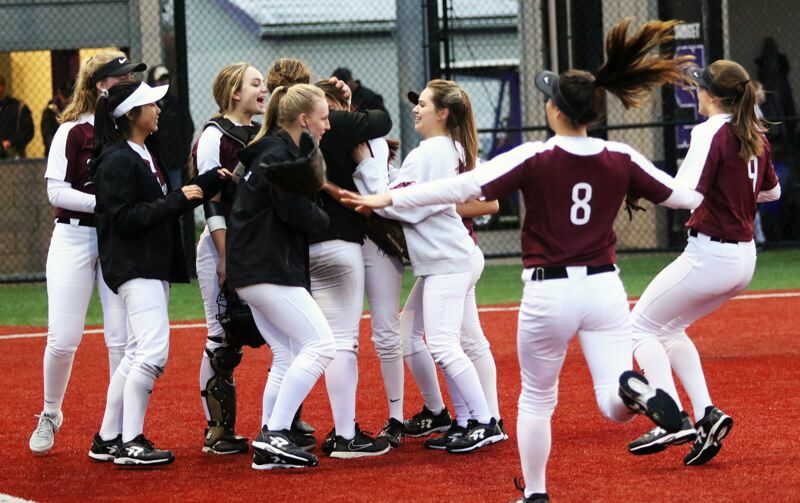 "Oh my gosh, that was so much fun," Tualatin junior shortstop Bella Valdes said after the game. 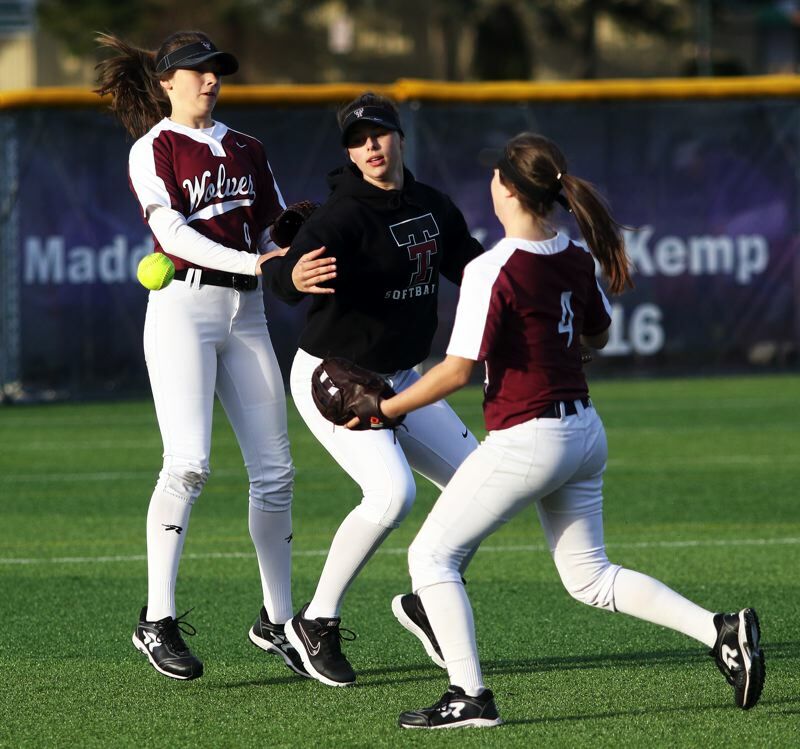 Although no official records are kept on such things, Tualatin's winning streak is believed to be a softball state record, besting the 40-game winning streak Marist Catholic had, covering the 2008 and 2009 seasons. 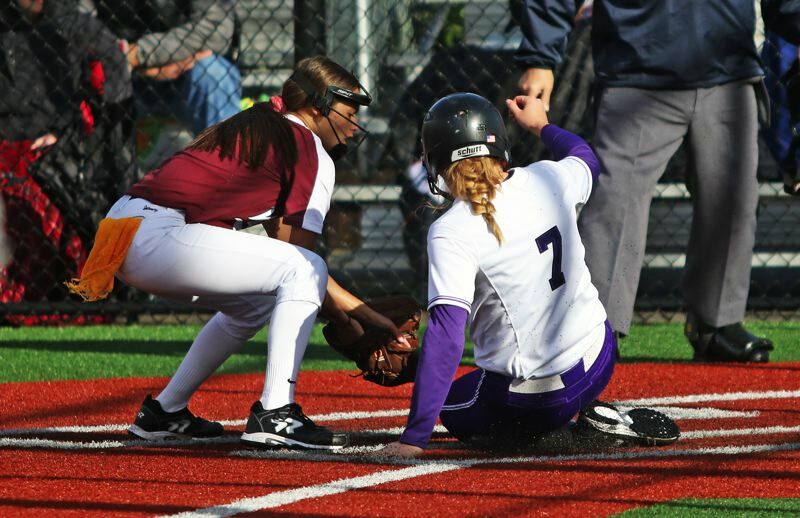 "That means everything," Tualatin senior first baseman Emily Johansen said. "Winning a state championship was amazing, but making history is something else. 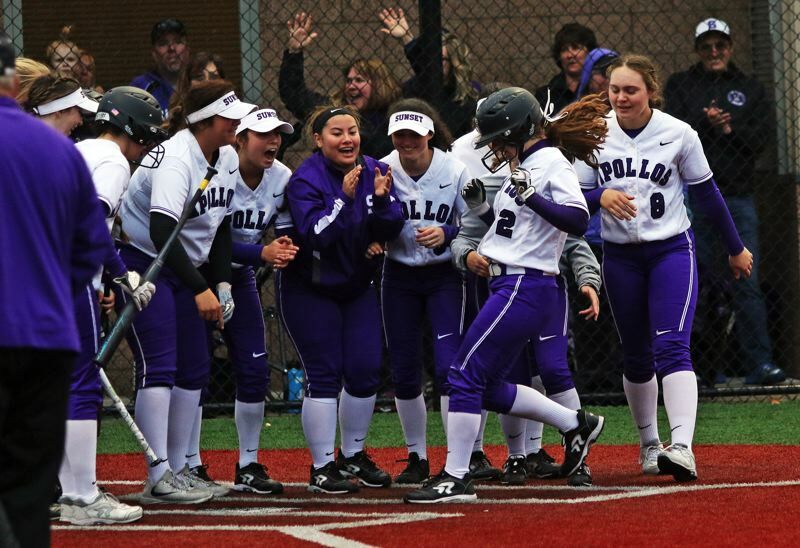 To have two back-to-back amazing teams is really rare, especially in high school softball. This program shows that, when you work together, you can have these amazing seasons." "For us upperclassmen working for that 41-0, that was a huge accomplishment," Valdes said. "We're so stoked about that, and we really wanted to do it for our seniors. We wanted to do this for our coaches, and do it for us, too. It was super important." 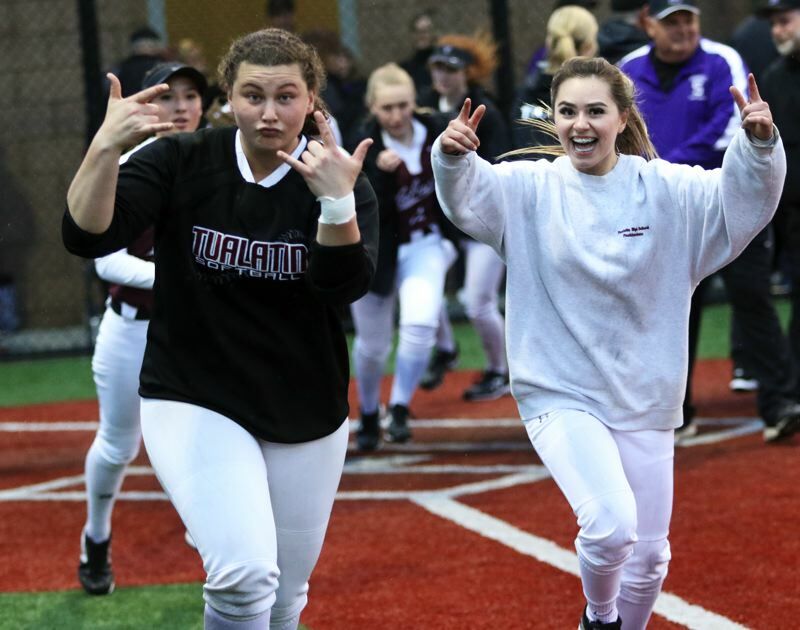 With the win, Tualatin, which went 30-0 last year on its way to winning the Class 6A state championship, improved to 11-0 on the season at that point, giving the Wolves, of course, a 41-game winning streak. "This was a huge win for all of us," Johansen said. "We didn't know what we'd do this season, but this shows our heart. This shows how good this team can be." "The thing that I loved about our team last year was that we never gave up, and, coming into this year, it was a little shaky, because we have some new girls, and we didn't know how we'd work together, but this proves that we're another team like that," Valdes said. "We're going to fight to the end. Even though we had a shaky beginning today, we fought all the way through." Sunset moved to 8-4 on the season with the extra-innings setback. "I think there are some little things we need to work on, but I think that no one in the state thought we were winning that game," said Sunset senior Abby Wingo, who had four hits, including a home run, in the contest. "I think they were scared. I think we made it hard for them to keep that streak going. We didn't just want to roll over and give them that 41. I think we made it pretty tough, and if a couple things go our way, I think we win." Wingo, and the Apollos, got off to a fast start to the contest. Junior Grace Kimball, leading off for Sunset, reached first base on a Tualatin error to start the bottom of the first inning. Kimball moved to second base on a sacrifice bunt by junior Mikaela Byrnes, and then scored on a passed ball, giving the home team a quick 1-0 lead. Wingo followed with a single to center field. Sunset senior Kendra Knapp then blasted a home run over the fence in left-center field, giving Sunset a 3-0 advantage at the end of the first inning. 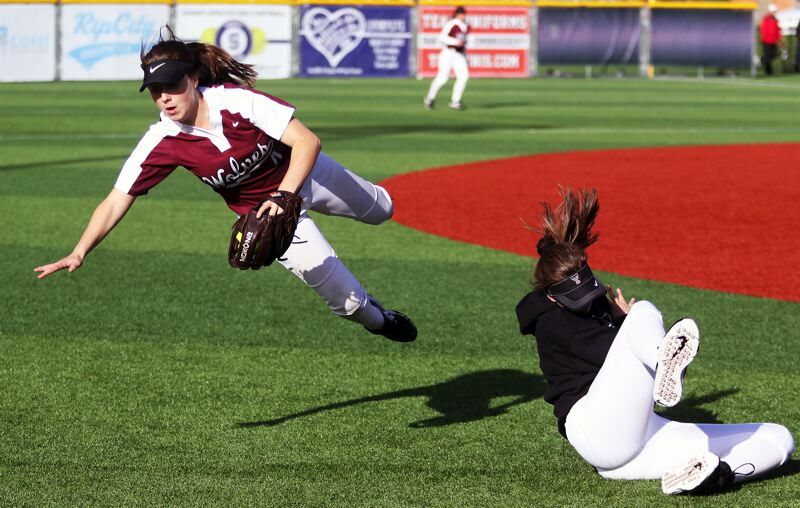 Tualatin got one of those runs back in the top of the third inning. Junior Savannah Braun led off the frame with a triple to right field. She then scored on a one-out infield single by senor Andrea Gomez, making the score 3-1. Sunset answered right back in its half of the inning. Wingo, leading off the frame, doubled off the fence in right field. 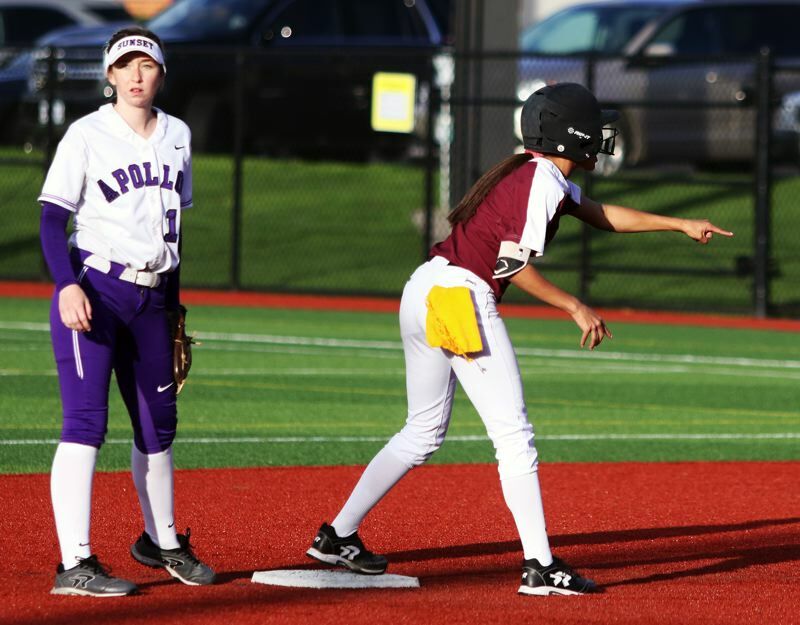 She ended up scoring on a sacrifice fly by junior Kate Fogle, giving the Apollos a 4-1 lead. Tualatin again got a run back in the top of the fourth inning. Freshman Ella Hoyle, leading off, reached base on a Sunset error. 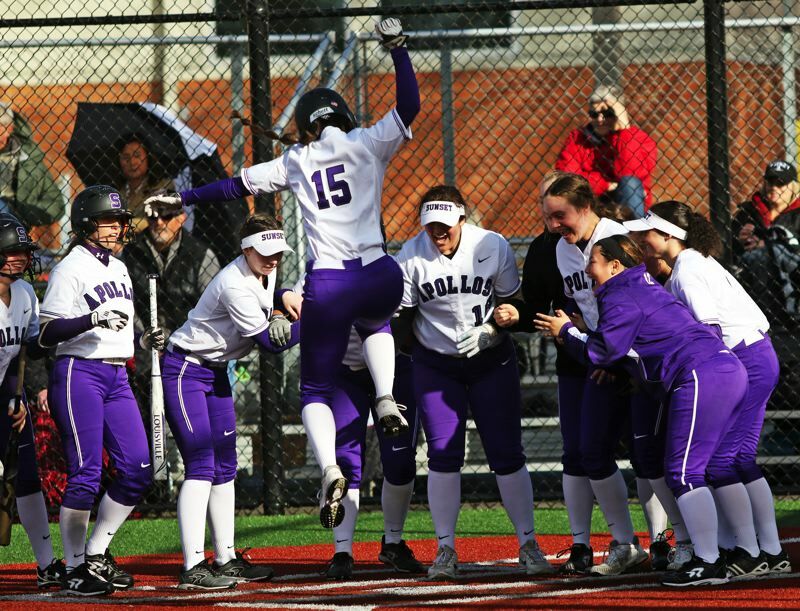 She ended up scoring from third on a groundout by senior Lily Marshall, cutting the lead to 4-2. 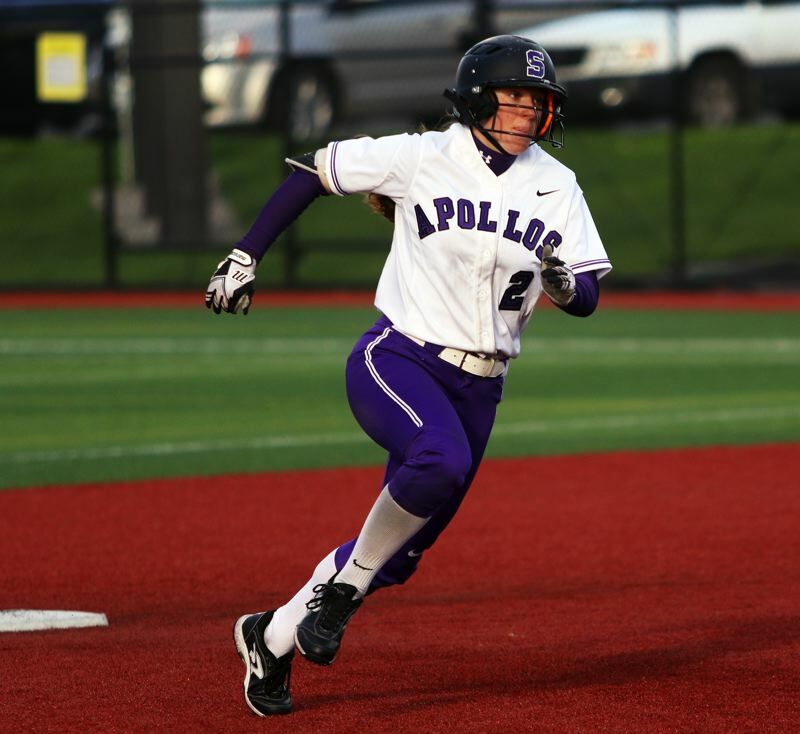 But the Apollos again answered back, this time getting a run in the bottom of the fifth. Wingo got all the way to third base on a Tualatin fielding error, and ended up scoring on a two-out single by sophomore Lainey Wier. 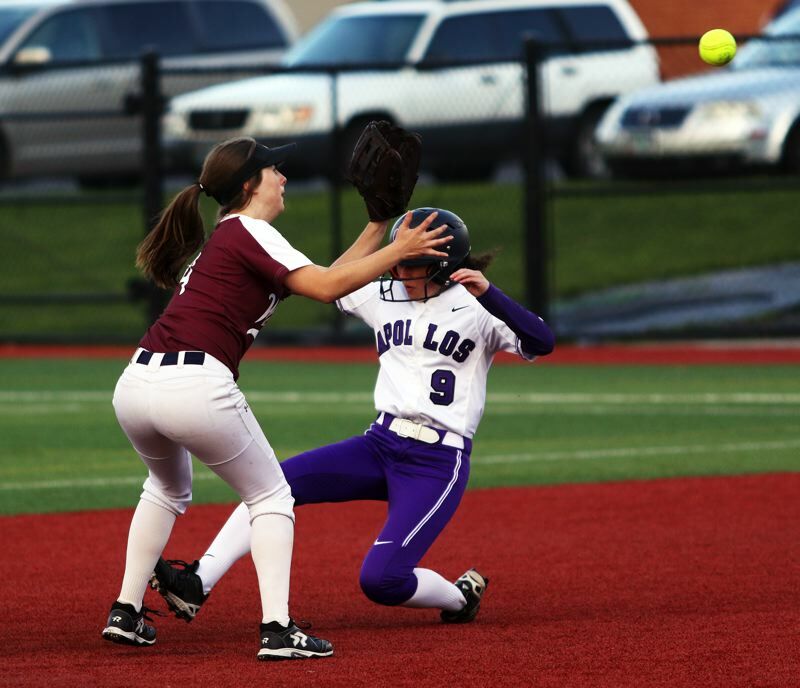 That left the Wolves facing a 5-2 deficit with just two innings of regulation softball to play — with their winning streak on the line. "I was definitely nervous," Valdes said. "My heart was beating a little bit faster, but, honestly, I had faith that Tia was going to push through, and she was amazing. And all of us were going to step up, even if we were struggling this game." The Wolves, and Valdes, stepped up in the top of the sixth inning. Ridings and junior Sydney Wagner had back-to-back infield singles to lead off the frame. Then, with two outs in the inning, Valdes ripped a double to left-center field, driving in courtesy runner Kaylee Mo and Wagner, cutting the Sunset lead to 5-4. "Honestly, I never felt more confident coming to the plate than I did that time," Valdes said of her clutch double. "I knew I needed to get these runs in, so I had to make good contact with the ball. I walked up there, and I knew what was going to happen, and it felt so good." The Wolves continued their rally in the top of the seventh. Johansen, leading off the frame with a single to right field. "I wasn't sure what I was going to have to do, but I knew I had to get something started," Johansen said. "I had to get on base for my team and get something going. Setting the tone is really important." Johansen moved to second base on a groundout by freshman Leanna Rosenbaum, and then she advanced to third on a passed ball. But, following a strikeout, the Wolves were down to their final out. But that's when Ridings came through with a clutch double down the left-field line, driving in Johansen to tie the game at 5-5. 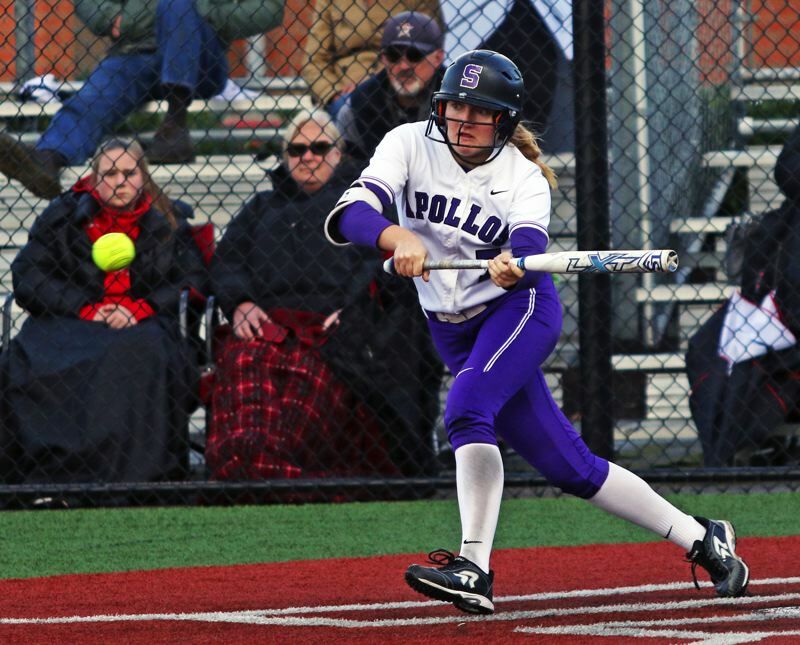 The teams ended up going to extra innings, and, after a scoreless eighth frame, Johansen was at it again, as she led off the top of the ninth with a double off the fence in left-center field. 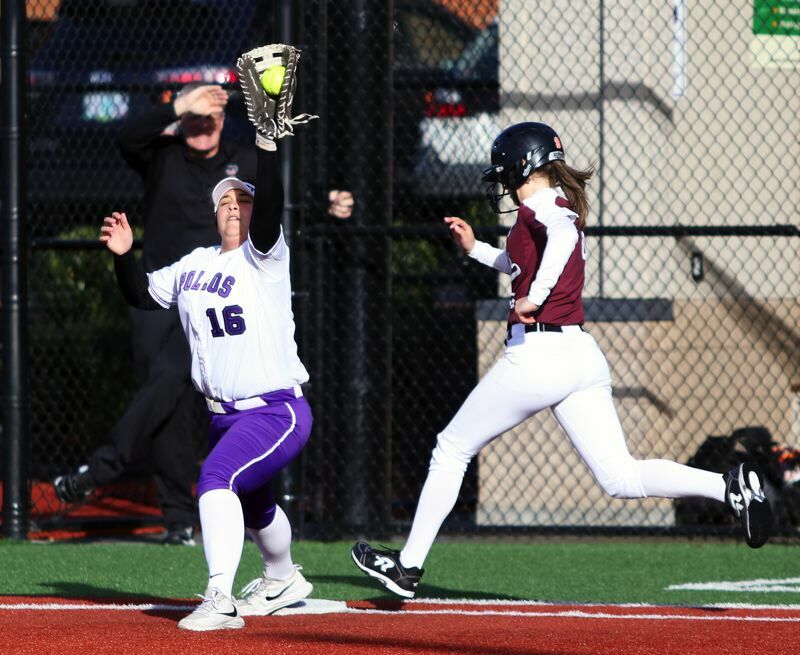 Two outs later, Ridings came through again, as she singled to left field, driving in Johansen to give Tualatin its first lead of the game, at 7-6. Now, it was Sunset's turn to step up. With two outs in the bottom of the ninth, and with the bases empty, Wingo came up and hit a home run, just clearing the fence in right field, tying the game at 6-6. "To be honest, I felt good all game, and I was getting good pieces all game," Wingo said. "I was kind of surprised that they were still pitching to me. But I was like, 'OK, I'm going to prove it again.' I just wanted to put a good swing on a good pitch. There were like three at-bats this season where I've hit the top of the fence, so I was thinking this better not be another. I was glad it went over." The teams went to the 10th inning tied at 6-6. Marshall, leading off the top of the 10th, put down a sacrifice bunt, getting Wagner, who started the frame at second base under the international tie-breaker rule, to third base. Wagner would end up scoring on a wild pitch with two outs in the inning, giving the Wolves a 7-6 lead. Ridings, Tualatin's left-handed pitcher, then put Sunset down in order in the bottom of the 10th, giving Tualatin the victory — and keeping the record winning streak alive. 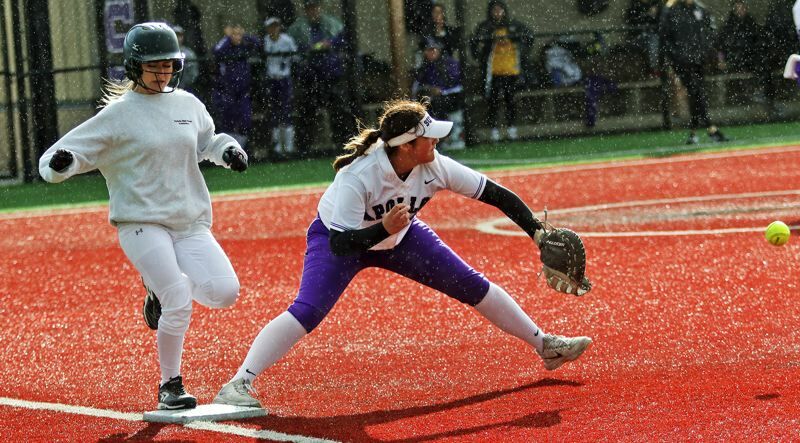 "For other teams, it might be easy to roll over and give up, but, with Tia pitching and with her also coming through with some clutch hits, we didn't," Johansen said. "I think she was amazing and was the MVP of this game. She really came through, and that showed her heart. We knew this was going to be a battle. We just had to fight through it, and I think we showed the heart that this team had." "The fact that Tia was able to push through says a lot about her," Valdes said. "I knew she was going to do it. It feels so good, and she was amazing." Tualatin, as a team, had 11 hits in the contest. Ridings went 4 for 5 at the plate with a double and two RBIs. Johansen went 2 for 3 with a double and two runs scored. Valdes went 2 for 5 with a double and two RBIs. Ridings, pitching all 10 innings, gave up six runs (four earned) on 11 hits, while striking out 10 and walking two. Wingo led the Sunset attack, going 4 for 5 with two doubles, a home run, four runs scored, a stolen base and an RBI. Kimball went 2 for 5 with a run scored and Fogle went 2 for 4 with an RBI. 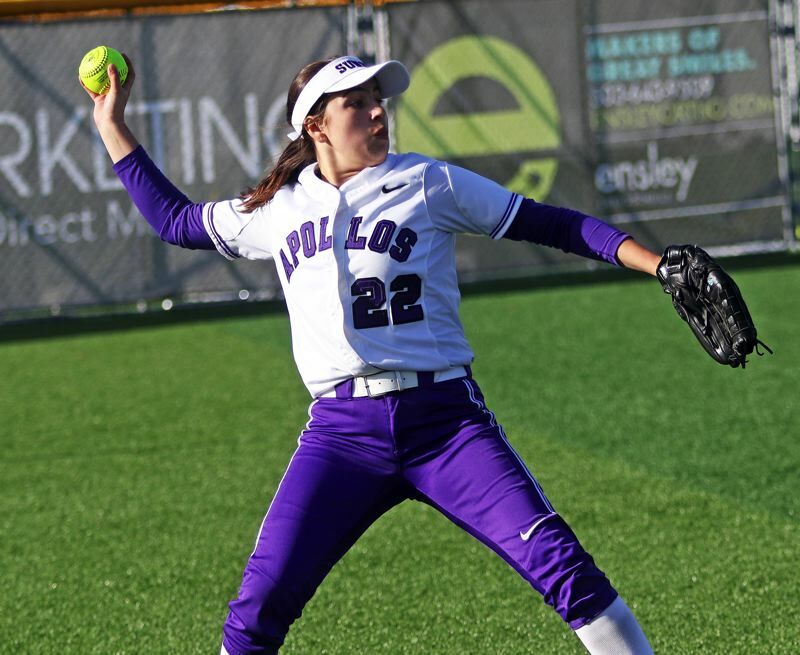 Kimball, pitching all 10 innings for the Apollos, struck out 12 and walked two. "I think this shows that we're good at fighting, and that we can hit, one-through-nine, which is good," Wingo said. "In the past, it's been tough to keep fighting when we get down, but this proves that we can keep battling." 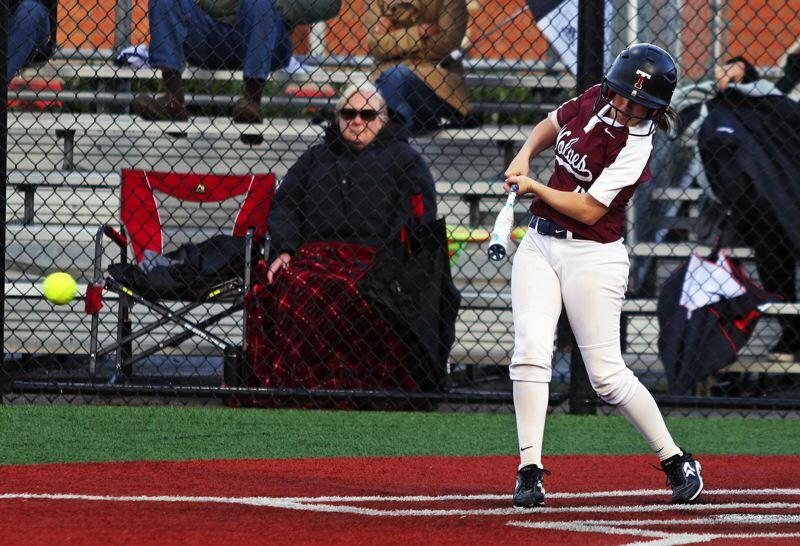 Tualatin, on Monday, scored a 2-1 non-league win over Central Catholic in a game played at Tualatin High School, upping the Wolves' winning streak to 42 games. Ridings picked up the pitching win, giving up one run on five hits, while striking out six and walking none. She also went 3 for 3 at the plate with a triple, a run scored and an RBI. The Wolves will next be in action on Friday, when they play at Canby in a Three Rivers League opener set to start at 5 p.m. 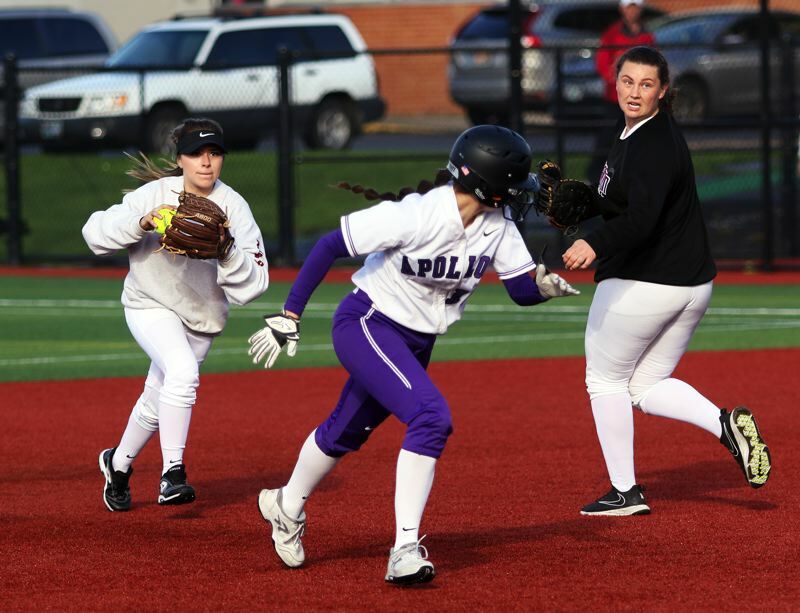 The Apollos will next play on Tuesday, when they travel to Glencoe for a 5 p.m. non-league contest.